Exbury Gardens and Steam Railway are based in the New Forest National Park. It is a 200 acre woodland garden with 22 miles of pathways, world famous for the Rothschild collection of rhododendrons, azaleas, camellias, rare trees and plants. It is full of colour in the spring and plenty of colour autumn colours to photograph. In 1919 the Exbury Estate was bought by Lionel de Rothschild. It had a temperate climate, moderate rainfall and an acidic soil ideal for growing rhododendrons. Using a large team he gradually cleared the woodland and laid out the garden putting in ornamental ponds, paths were set out and two acres of greenhouses and the basis of what you see today. The onset of WWII brought the development to a standstill and Lionel died in 1942, when later that year Exbury House was requisitioned by the Royal Navy. 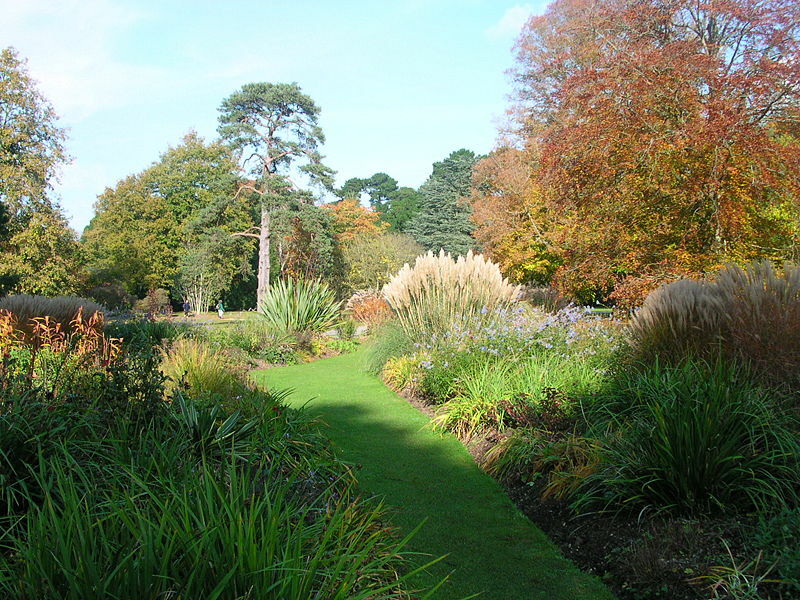 After the war the house returned to the family, and Lionel's' wife and son began restoring the site and cultivating new parts of the garden and raising new Exbury hybrids. What can you see on your visit. Amongst the 200 acres there are many gardens and features as well as woodland and of course the Rothschild Rhododendrons to see. There is also a small narrow gauge steam railway, buggy rides, and from the end of July a Maize maze. The following lists the main gardens and features of the site. A 20min, one and a quarter mile circular journey around the northeast corner of the Gardens on a steam train. Features include a bridge, tunnel, viaduct, Exbury Central Station & Exbury North Halt, plus lots of woodland characters to spot! Trains are scheduled to depart at 11AM, 11.45AM, 12.30PM, 1.30PM, 2.15PM, 3PM and 4PM (and at more regular intervals during May). An additional 4.30pm train will run during the Hampshire summer holidays. Chauffeur driven buggy tours operate throughout the season for an additional fee. The buggies accommodate up to 7 passengers and tours last 30/45 minutes. A picture gallery which shows the current flowering conditions around the garden. Interactive Tours, some 3D and Video tours of some of the garden areas. Head Gardner's Notice Board - which keeps you up to date with what work is going on in the gardens, plus regular updates of what you can see in the garden on your visit. From M27 junction 2 onto A326 to Fawley. Continue over a series of roundabouts at the 7th one take the B3054 to Exbury and Beaulieu. Turn right be side of The Royal Oak put to Exbury after 2.5 miles entrance to gardens is on right. Daily 19th Mar-6th Nov 10am to 5pm or dusk if earlier. Buggy Tours Extra £3.50/£4 per person. Special Needs Access: Fairly level site and paths are suitable for wheelchairs. Carers are admitted free. Limited number of free wheelchairs available. 4 of the railway carriages have been adapted to take wheelchairs. Special Needs Facilities: Toilets are at main entrance, herbaceous and grasses garden, tennis court tea garden and the railway station. Children Facilities: Steam Railway and plenty of gardens to run about in, be aware there are ponds dotted around the site.